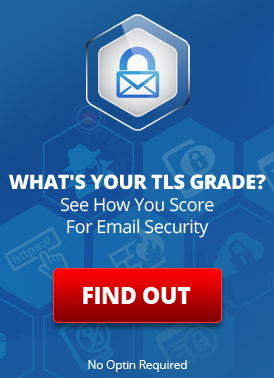 In recent news, Google is warning consumers that Gmail and google apps are actively scanning your email. Google is actively scanning and making copies of all of your content. You give Google and any other company it decides to work with full right to do anything it wants with your data … including publishing it publicly at any time in the future. Clearly, this goes way beyond any concept of “automated scanning” and any thought that “well, it’s Ok if they scan it just to make ads for me.” The old adage of “you put a picture on the Internet and its there forever” clearly applies to Google … “use Google for anything and your data is theirs forever and they can do whatever they want with it.” This is about as far the opposite of privacy as I can imagine. Google professes some modicum of privacy for customers with HIPAA accounts; however, I am not sure I would trust that as far as I can throw it… as it seems to be so inconsistent with everything else that they do, that I can’t imagine that there are not privacy issues lurking. What does LuxSci do differently? This scanning is quite simple and common. The message is read into a program that compares it to the rules listed for filtering. LuxSci never saves any specific copies of these messages beyond what the filters are instructed to do (e.g. quarantine spam, save a message to a folder, etc.) This is the opposite of Google, who saves annotated copies of all messages and data and uses that data and/or discloses it to others. Furthermore, we consider your data as confidential, our staff will never access your sensitive data without your explicit consent (unless it appears that you are violating our Acceptable Use Policies and examination may be required to verify or mitigate the violation or abuse). This entry was posted on Wednesday, April 16th, 2014 at 3:47 pm	and is filed under LuxSci Insider. You can skip to the end and leave a response. Pinging is currently not allowed.